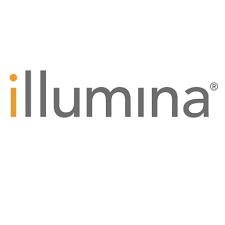 Illumina, Inc. (NASDAQ: ILMN) stock lost over 3% on April 25th, 2018 (as of 12:33 PM GMT-4; Source: Google finance) despite a positive quarter performance. In the first quarter of FY 18, the group has reported the adjusted earnings per share of $1.45, while adjusted revenue growth was 30.8 percent to $782 million in the first quarter of FY 18 from $598 million last year. Moreover, the company in the first quarter of 2018 has posted the cash flow from operations of $255 million compared to $168 million in the first quarter of 2017. The Free cash flow (cash flow from operations less capital expenditures) is of $165 million for the first quarter compared to $85 million in the first quarter of 2017. On the other hand, during the first quarter 2018, the company has released the NovaSeq S1 flow cell reagent kit for the NovaSeq 6000 System. ILMN has received a product approval certificate for the NextSeq 550Dx instrument with the Ministry of Food and Drug Safety (MFDS) in South Korea. The company had announced a collaboration with Bristol-Myers Squibb to utilize Illumina’s next-generation sequencing (NGS) technology to develop and globally commercialize in-vitro diagnostic (IVD) assays in support of Bristol-Myers Squibb’s oncology portfolio. Further, the company had announced a partnership with Loxo Oncology to develop and commercialize a multi-gene panel for broad tumor profiling, targeting a distributable, NGS-based companion diagnostic (CDx) with a pan-cancer indication. ILMN has launched a study with Harvard Pilgrim Health Care, a not-for-profit health services company, designed to gather data intended to support wider average-risk patient access and reimbursement of NGS for non-invasive prenatal testing. The company during the first quarter had also appointed Dr. Phil Febbo to the position of Senior Vice President and Chief Medical Officer. For FY 18, ILMN expects 15% to 16% revenue growth, GAAP earnings per diluted share attributable to Illumina stockholders to be in the range of $4.45 to $4.55 and non-GAAP earnings per diluted share attributable to Illumina stockholders to be in the range of $4.75 to $4.85. For FY 18, the analysts are expecting earnings per share of $4.59 and revenue of $3.14 billion as per Thomson Reuters.